I'll admit, I made these for myself but loved them so much that I had to make a pair to share! 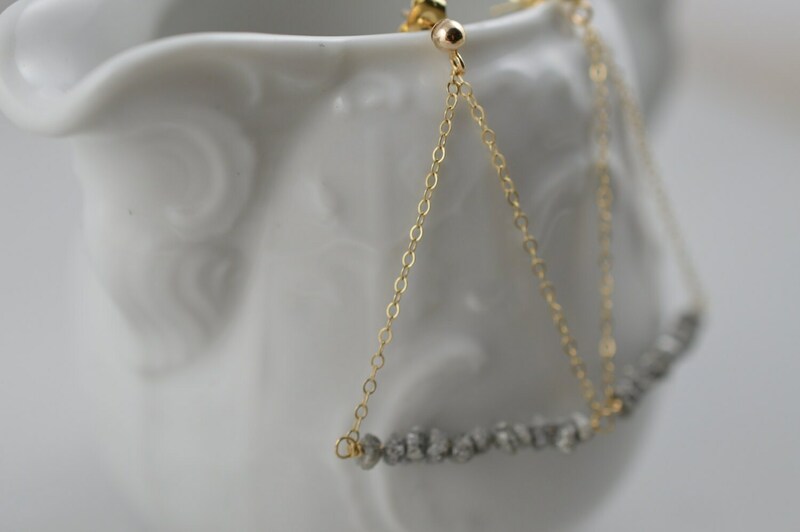 Diamonds go with everything and this simple pair is no exception. It takes a luxurious classic and gives it a modern edge. 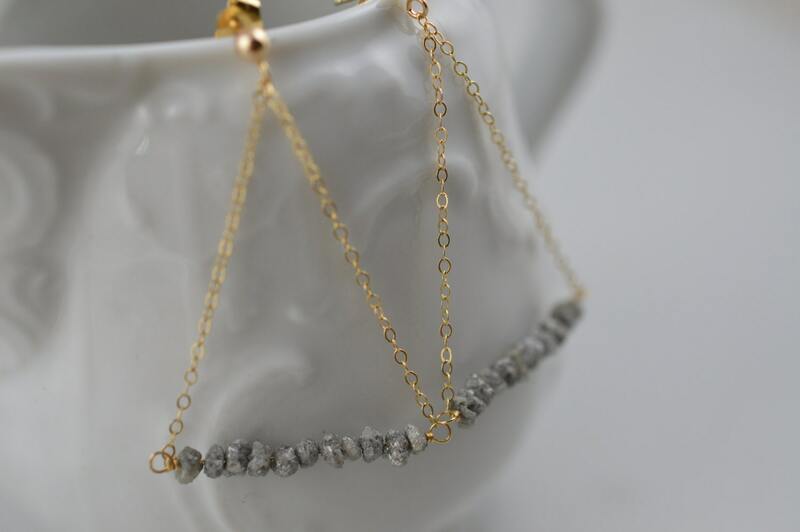 Rough, uncut diamonds find a perfect match with 14K gold chain to create these earrings that you will want to wear every day! 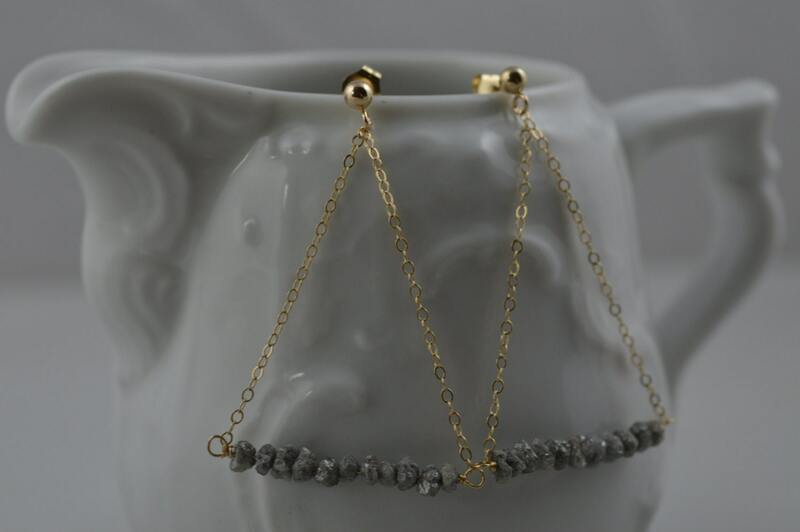 Earrings are about 1 and 3/4 inches (about 56mm) long. 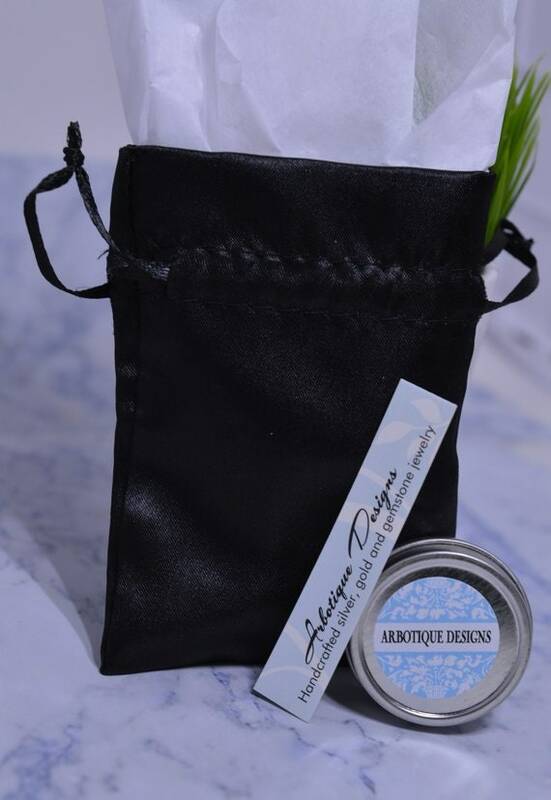 If you have enjoyed my shop, please tell your friends to visit www.arbotiquedesigns.com!